Anesthesia Category Archives — Health Law Attorney Blog Published by Health Care Lawyers — The Health Law Partners, P.C. On May 7, 2015, Michigan Senator Mike Kowall (R-White Lake) introduced legislation that would allow hospitals more flexibility in determining the best anesthesia delivery model for their patient’s needs. While certified registered nurse anesthetists (“CRNAs”) provide the anesthesia care during most patient procedures – staying with the patient throughout the entire procedure – Michigan law still requires physician supervision of CRNAs. However, Michigan law does not even require the supervising physician to be an anesthesiologist or surgeon. The proposed legislation would change this model and increase access to anesthesia care for Michigan patients in medically underserved rural and urban areas, while also containing anesthesia-related costs statewide. Under S.B. 320, Michigan hospitals could choose to keep the current physician-supervision model or move to a model that allows CRNAs to practice without mandatory physician supervision. If enacted, Michigan would join 40 other states that do not require physician supervision for CRNAs to administer anesthesia. The bill is currently in the Michigan Senate awaiting testimony before the Senate Health Policy Committee. More information on S.B. 320 may be found on the Michigan Legislature’s website, available here. On November 12, 2013, the Office of Inspector General (the “OIG”) released an unfavorable Advisory Opinion in response to an anesthesiology practice’s (the “Requestor”) inquiry. Specifically, the OIG found that a psychiatry group’s (the “Psychiatry Group”) proposal to pay the Requestor a per-diem rate for anesthesia services while keeping any difference from the amount billed and collected could potentially violate the Anti-Kickback Statute (“AKS”) by allowing the Psychiatry Group to keep such difference in return for referrals to the Requestor. The Requestor was the exclusive provider of anesthesia services to the “Hospital” between 1993 and 2010. In December of 2010, the Psychiatry Group, co-owned by a physician who was board certified in both psychiatry and anesthesia, relocated to the Hospital. During renegotiations of the Requestor’s exclusivity contract in 2011, the Hospital insisted that the contract include a carve-out of anesthesia services for electroconvulsive therapy (“ECT”) procedures, which would be provided by the Psychiatric Group’s co-owner when those procedures were provided by the Psychiatric Group. 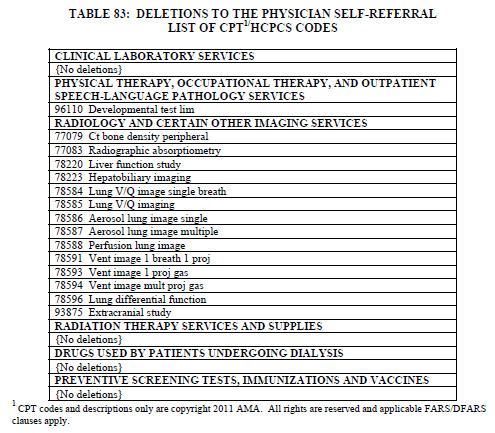 In 2012, the Hospital expanded the carve-out to include all ECT provided at the Hospital and added a requirement that the Requestor enter “good faith negotiations” with the Psychiatric Group to provide the ECT anesthesia services if the Psychiatric Practice and/or the Hospital determined that a second provider was required (“Additional Anesthesiologist Provision”). The OIG determined that there was more than a minimal risk that the proposal would generate unlawful remuneration for the Psychiatric Group. Specifically, the difference between the per diem rate paid to Requestor and the amount billed and collected for the services could serve as a fee for referring the services to the Requestor. iii)	Requestor agreed to the Additional Anesthesiologist Provision in exchange for the exclusivity arrangement. Non-anesthesia provider groups seeking to offer the services of an anesthesia provider or anesthesia group should seek the advice of their health care legal counsel to ensure that the relationships are structured in compliance with applicable fraud and abuse laws and to minimize legal risk. On March 8, 2013, the Centers for Medicare and Medicaid Services (“CMS”) issued Transmittal 2668 (Change Request 8180) to Publication 100-04 (Medicare Claims Processing), rescinding and replacing Transmittal 2634 (January 11, 2013). Transmittal 2634 provided clarifications in the manual language to reflect revisions to 42 C.F.R. § 410.69. The newly-released Transmittal 2668 maintained all changes made by Transmittal 2634, but deleted two inadvertently retained sections: 140.1.1 and 140.1.2. 42 C.F.R. § 410.69, which went into effect January 1, 2013, defines and sets forth the requirements for certified registered nurse anesthetists (“CRNAs”) and anesthesiologist’s assistants (“AAs”). § 410.69 defines “Anesthesia and related care” as “those services that a certified registered nurse anesthetist is legally authorized to perform in the state in which the services are furnished.” An “Anesthetist” encompasses both CRNAs and AAs. Transmittal 2668 replaced Transmittal 2634, keeping all changes, but removing Sections 140.1.1 and 140.1.2, which were inadvertently retained by Transmittal 2634. These sections related to notifications/verifications of certification and renewal of certification of CRNAs and AAs by and between CMS, employers of CRNAs/AAs, and carriers. All other changes made by 2634 were retained by 2668. Payment shall be made for reasonable and necessary medical or surgical services furnished by CRNAs if they are legally authorized to perform these services in the state in which services are furnished. Payment is determined under the physician fee schedule on the basis of the national physician fee schedule conversion factor, the geographic adjustment factor, and the resource-based relative value units for the medical or surgical service. For the entire document click here. Within the next month, the Centers for Medicare and Medicaid Services (CMS) is expected to finalize the proposed Medicare Physician Fee Schedule for 2013. In the rule, CMS proposes to expand the definition of CRNA services to include “medical and surgical services that are related to anesthesia and that a CRNA is legally authorized to perform by the State in which the services are furnished.” Recognizing that several state legislatures have passed or are contemplating legislation that includes pain management within the scope of practice of Certified Registered Nurse Anesthetists (CRNAs), CMS rationalized its proposed changes on the basis that its new definition of CRNA services would allow for flexible application to the varying scopes of practice across states. In recent years, as the specialty of pain management developed and the scope of CRNA practice evolved, there has been a lack of clarity and uniformity in how Medicare Administrative Contractors (MACs) interpreted the Medicare provisions relating to CRNA services that qualified for reimbursement. 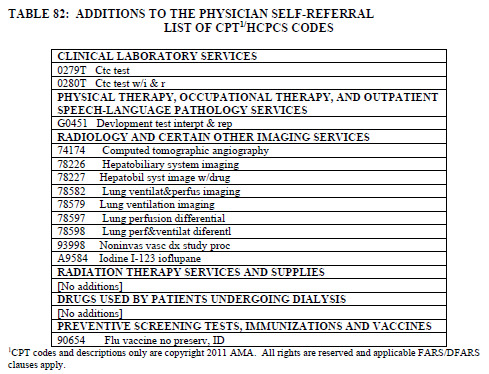 The proposed 2013 Physician Fee Schedule establishes a definitive answer. Essentially, if the fee schedule is passed as proposed, CRNAs will be reimbursed for those pain management services provided that are within the scope of their practice as defined by the state in which they practice. CMS cautions, however, that not all CRNAs practicing in states that permit CRNAs to perform pain management services have the requisite education or training. As with all other practitioners, CRNAs are responsible for obtaining the necessary training for all services furnished to Medicare beneficiaries. The proposed rule triggered a nationwide grassroots opposition campaign by the American Society of Anesthesiologists (ASA). Citing the complexity of chronic pain procedures and advanced education and training required for safe administration of medication therapies, the ASA contends that current restrictions on CRNAs are in the best interest of patient safety. Conversely, the American Nursing Association (ANA) asserts that accreditation standards for CRNA programs include advanced education and training in treatment of chronic pain sufficient to develop proficiency in pain management practice. With the proliferation of mid-level practitioners in recent years, driven by a strained economy and propelled by healthcare reform, the scope of practice of non-physician providers will continue to evolve. CMS’s proposed 2013 Physician Fee Schedule represents simply another instance of this process. On June 13, 2012, the California Supreme Court unanimously denied review in the case of California Society of Anesthesiologists v. Superior Court, 204 Cal.App.4th 390 (1st Dist. 2012) ending an over two year battle by the California Society of Anesthesiologists and the California Medical Association who challenged former governor Arnold Schwarzenegger’s certification to the federal government that California law allowed Certified Registered Nurse Anesthetists (CRNAs) to administer anesthesia without physician supervision. Medicare regulations require physician supervision of CNRAs as a condition of receiving Medicare reimbursement. 42 C.F.R. §§ 482.52(a)(4); 485.639(c)(2); 416.42(b)(2). However, additional Medicare regulations allow a state to opt out of the physician supervision of CNRAs requirement. In order to opt out of the physician supervision requirement, the state’s governor must submit a letter to the Centers for Medicare and Medicaid Services (CMS) requesting an exemption. The letter “must attest” that the governor has: (1) consulted with State Boards of Medicine and Nursing about issues related to access to and the quality of anesthesia services in the State; (2) concluded that it is in the “best interests of the State’s citizens” to opt out of the current federal physician supervision requirement; and (3) concluded that the opt out is “consistent with State law.” 42 C.F.R. §§ 482.52(c)(1), 485.639(c)(1), 416.42(c)(1). Former Governor Schwarzenegger opted California out of this requirement on June 10, 2009, finding that California law allowed CNRAs to administer anesthesia without physician supervision. The California Society of Anesthesiologists and the California Medical Association challenged the certification by Schwarzenegger and argued that California law did not allow CNRAs to administer anesthesia without physician supervision. The California Nursing Practice Act provides that CRNAs are authorized to administer medications necessary to implement treatment “ordered” by a physician. West’s Ann.Cal.Bus. & Prof.Code § 2725(b)(2). The trial court which heard the case found that the Nursing Practice Act allowed CNRAs to administer anesthesia without physician supervision. On appeal to the California First District Court of Appeals, the appellate court likewise found that the plain language of the Nursing Practice Act authorizes CRNAs to administer anesthesia without physician supervision. The appellate court also relied on the conclusion reached by the Board of Registered Nursing and other agencies and officials, including the State Attorney General and denied the challenge by California Society of Anesthesiologists and the California Medical Association. Fifteen other states have opted out of the Medicare requirement requiring CNRAs to be supervised by a physician while administering anesthesia: Washington, Oregon, Iowa, Nebraska, Idaho, Minnesota, New Hampshire, New Mexico, Kansas, North Dakota, Alaska, Montana, South Dakota, Wisconsin, and Colorado. On June 1, 2012, the Department of Health and Human Services Office of Inspector General (the “OIG”) issued its Advisory Opinion No. 12-06, which provides long-awaited guidance to the health care industry regarding the legal permissibility of an anesthesia delivery service model commonly referred to as the “company model.” Insofar as Advisory Opinion No. 12-06 is the initial OIG guidance that specifically focuses on such an arrangement and determines that the factual paradigms presented implicate risks under the Medicare and Medicaid Antikickback Statute (the “AKS”), this Advisory Opinion understandably is capturing broad attention within the medical and legal communities. While OIG Advisory Opinion 12-06 clarifies the almost-axiomatic observation that company model arrangements, especially those that contain the indicia that the OIG historically has identified as problematic under the AKS, certainly have the potential to violate the AKS, the legal permissibility of each company model arrangement should continue to be analyzed based upon each arrangement’s unique facts and circumstances. Stated otherwise, OIG Advisory Opinion 12-06 should not be interpreted to mean that all company model frameworks necessarily are violative of the AKS; rather, the Advisory Opinion reinforces the consistent guidance provided by The Health Law Partners that these arrangements need to incorporate the requisite structural safeguards. A significant percentage of ASC procedures involve anesthesia services provided by an anesthesiologist or a certified registered nurse anesthetist (“CRNA”). Due to changes within the health care environment, including, in particular, contraction to reimbursement and an increased emphasis on quality and efficiency of patient care, an increasing number of ASCs around the country have transformed their relationships with the anesthesia providers from the normative arrangement (under which an independent anesthesia group bills fee-for-service for the anesthesia services that it furnishes at the ASC) to “company model” arrangement. Although there are a number of permutations of the structure, the company model generally involves the ASC or some or all of its physician owners (hereafter, in either case, the “ASC Physician Members”) establishing a separate legal entity that will provide anesthesia services to the ASC by employing or contracting with anesthesia providers (the “New Company”). The New Company separately bills for the anesthesia services and then pays the anesthesia providers an agreed-upon rate (or contractual compensation in the case of employed anesthesiologists). As a result, the ASC Physician Members capture a portion of the anesthesia revenue generated from procedures furnished at the ASC (which, under the traditional paradigm, had been exclusively realized by the anesthesiologists). The company model debate has prompted vigorous discussion within the health care bar. The legal dialogue, in particular, focuses upon the application of the AKS to the company model structure. In pertinent part, the AKS prohibits anyone from knowingly and willfully soliciting, receiving, offering or paying remuneration, in cash or in kind, to induce or in return for referrals of items or services payable by any federal health care program. Liability is imposed upon both parties to an impermissible transaction. The AKS has been interpreted to cover any arrangement where one purpose of the remuneration is to obtain money for referral of services or to induce further referrals, even if other salutary purposes exist. Violation of the AKS constitutes a felony punishable by a maximum fine of $25,000, imprisonment up to five years or both. Conviction will also lead to automatic exclusion from federal health care programs, including Medicare and Medicaid and may result in the imposition of civil monetary penalties. In the company model context, the profit that the ASC Physician Members derive from the anesthesia revenue at the ASC, in an improperly structured arrangement, potentially represents impermissible remuneration in the AKS context. In its most basic terms, the issue is whether, in substance, the ASC Physician Members are “converting their referral stream into a revenue stream.” The theory is that the anesthesiologists would essentially be required to forego the anesthesia profit (in favor of the New Company) in exchange for the ability to provide (or, in the case of a then-current anesthesia provider, continue providing) anesthesia services at the ASC, and the ASC Physician Members would earn such profit, based in part, upon their referrals of such services to the anesthesiologists. As discussed below, the fact that the company model affords the ASC Physician Members the ability to capture anesthesia revenue, by itself, does not violate AKS insofar as the determinative element of any AKS violation is impermissible intent. Further, the Federal government is particularly concerned with arrangements that have the ability to negatively affect patient care and/or to result in overutilization. OIG Advisory Opinion No. 12-06 states “[t]he anti-kickback statute seeks to ensure that referrals will be based on sound medical judgment, and that health care professionals will compete for business based on quality and convenience, instead of paying for referrals.” Any AKS analysis requires consideration of the aggregate facts and circumstances in light of available Federal guidance. In our view, OIG Advisory Opinion No. 12-06 should be seen as corroborative of the AKS principles that the OIG has articulated in prior guidance. Thus, there is no unique company model jurisprudence. Rather, to the extent that a company model arrangement contains the suspect indicia that the OIG has consistently identified, then such an arrangement will assume a higher level on the risk spectrum, whereas, by contrast, company models that both demonstrate a clearer nexus between the ASC Physician Members and New Company’s business (especially in the form of active participation, particularly focused towards the elevation of clinical care), and which avoid correlations between distributions to the ASC Physician Members and their referrals, the risks will be comparatively lower. In OIG Advisory Opinion No. 12-06, the OIG reviewed two proposals (i.e., Proposal A and B) (the “Proposed Arrangements”) for modifying the relationship between certain ASCs and their exclusive provider of anesthesia services (the “Requestor”) and determined that both of the Proposed Arrangements could potentially violate AKS and result in administrative sanctions. At the outset, we note that Proposal A itself is not truly a “company model” arrangement. Proposal A involved the Requestor continuing to serve as the exclusive provider of anesthesia services and to bill and retain collections for its services, subject, however, to the requirement that it would pay the ASCs a per-patient fee for certain “management services” with respect to non-federal health care program patients. The OIG clarified that the proposed “carve out” of federal health care program patients is does not insulate the otherwise-defective structure from AKS scrutiny. The Federal government would view the relationship between the Requestor and the ASCs (which also included the provision of services to federal health care program patients) as a whole. The OIG noted that the ASCs were already essentially paid for such management services through the facility fee that the ASCs receive from Medicare and therefore, under Proposal A, the ASCs would be paid twice for the same services. Further, such management fee would have the potential to inappropriately dictate which anesthesia provider was selected by the ASC. The OIG’s disapproval of Proposal A reaffirms the position that HLP has consistently taken that conditioning a provider’s (e.g., an anesthesiologist’s) right to perform services upon entry into a contractual arrangement with a group of physicians who potentially control the referrals to such provider (e.g., ASC Physician Members) can implicate substantial regulatory risks. The OIG’s conclusions with respect to Proposal B are consistent with the advice that HLP has previously provided: if a company model arrangement (such as Proposal B) is implemented (or appears to be implemented) to convert referrals (by ASC physicians to anesthesiologists) to a revenue stream and to incentivize overutilization and undue influence over choice of anesthesia provider, such company model involves a high level of risk and is likely impermissible. Factors that increase the risk of inappropriate utilization through the ordering of unnecessary procedures and anesthesiology services to generate revenue have the ability to increase costs to the federal health care programs, interfere with clinical decision-making and raise patient safety or quality of care concerns. By contrast, if a company model arrangement is organized and operated for legally permissible goals (i.e., improving quality and efficiency of care), the ASC Physician Members participate actively in the business’ conduct, and the profit distribution mechanism does not bear a connection between distributions and the ability to generate procedures, its legal risk is significantly mitigated and the arrangement is in a far better position to be defensible, especially if all the requisite structural safeguards are included. OIG Advisory Opinion No. 12-06 reminds us that company model arrangements must include meaningful safeguards to mitigate legal risk and to be defensible from an AKS perspective. That being said, the value of such safeguards depends upon the manner in which they are implemented and the actual intent that underlies their inclusion. Any company model arrangement must be structured, and most importantly, actually implemented, in a good faith manner and involve circumstances that reflect good intent, such as improving quality, efficiency and coordination of care or other permissible purposes. Meaningful efforts to coordinate care through increased integration and alignment among providers is a favorable factor. Employment of the anesthesiologists and CRNA’s by the new ASC or physician owned anesthesia entity would promote such a nexus. Further, if the objective of the new entity is genuinely to improve quality and efficiency, all the physician owners should be meaningfully engaged in the operations of the Company, especially with regard to the development and continuous refinement to policies and protocols (e.g., “best practices”) designed to enhance the quality and efficiency of services furnished at the ASC. We also take the opportunity to emphasize that distributions from the new company under a company model arrangement to the physician owners (directly or indirectly) should be made in accordance with such physicians’ respective ownership interests (or some other factor unrelated to referrals) and certainly not based upon the number of procedures they perform at the ASC. Accordingly, it is imperative that such new company not determine the ownership interests of the physicians based upon their anticipated referrals or business generated, not encourage physician investors to divest their ownership interest if they fail to generate a certain level of referrals or business generated, and not track the source of referrals to or business generated for the company. Payment Reduction Pursuant to the Sustainable Growth Rate – Payments to providers under the Medicare Physician Fee Schedule is set to be reduced by 27.4%, as required by the Sustainable Growth Rate formula, beginning January 1, 2012 absent legislative measures to block to reduction. Expansion of the Multiple Procedure Payment Reduction (“MPPR”) – The MPPR has been expanded to include the professional component of certain advanced diagnostic imaging services. For a more detailed explanation of this change, please see this blog entry. Anesthesia Fee Schedule Conversion Factor – For 2012, the anesthesia conversion factor is $24.6712 with the national average anesthesia conversion factor equal to $15.5264, a decrease of 26.2% from 2011. On May 20, 2011, Ohio governor, John Kasich, signed Ohio House Bill 93 into law. The bill represents an effort by Ohio to strengthen the State’s regulatory framework relating to the prevention of prescription drug abuse. According to the Ohio Department of Health, since 2007, unintentional drug overdoses in the state accounted for more accidental deaths than motor vehicle crashes and suicides combined. The new law, when it becomes effective, is expected to transform the landscape for the operation of pain management clinics in the State of Ohio. The bill mandates the State Board of Pharmacy to license pain management clinics and, further, provides for the clinics to be licensed as terminal distributors of dangerous drugs with a pain management clinic classification. Moreover, the law will prohibit the operation of a pain clinic without such a license. (The prohibition, however, will be postponed until 30 days following the bill’s effective date). The bill also mandates the State Medical Board to implement rules establishing standards for physicians who provide care at pain management clinics and guidance for the physician operation of such clinics. Finally, the bill also authorizes the State Board of Pharmacy to levy fines (up to $5,000) against pain management clinics and/or the State Medical Board to impose fines (up to $20,000) for failure to comply with the rules of operation or standards for distributors of dangerous drugs with a pain management classification established under the act. It is imperative for pain management physicians to understand the changes in the regulations that directly govern their practice, especially with the ever-evolving regulatory framework that applies to this area. For more information, please visit THE HEALTH LAW PARTNERS’ Anesthesia and Pain specialty page or contact Abby Pendleton, Esq., Carey Kalmowitz, Esq., or Jessica L. Gustafson, Esq. at (248) 996-8510 or (212) 734-0128, or visit the HLP website.